Model/TV presenter is taking 2017 by storm, and she wants the world to know it! 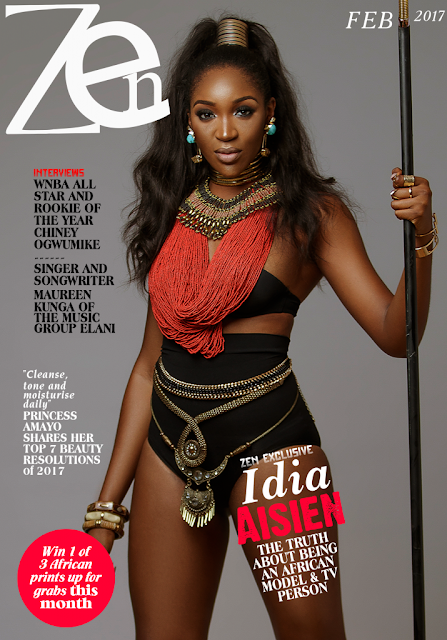 On Zen Magazine’s February 2017 cover, she channels her inner warrior princess. 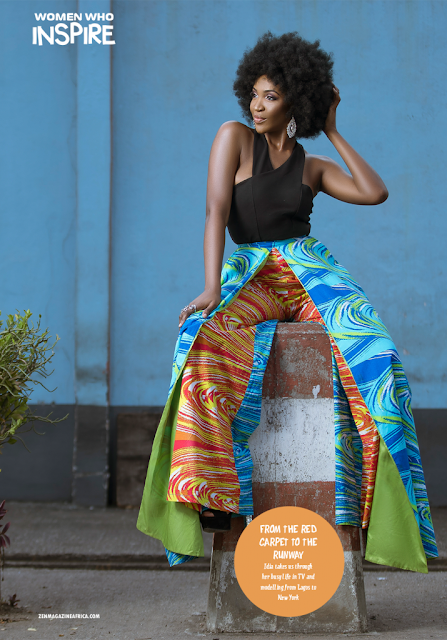 On Zen Magazine’s cover for the month of February is Nigerian-Cameroonian model and TV host, IdiaAisien, who has made an indelible mark in the fashion industry. 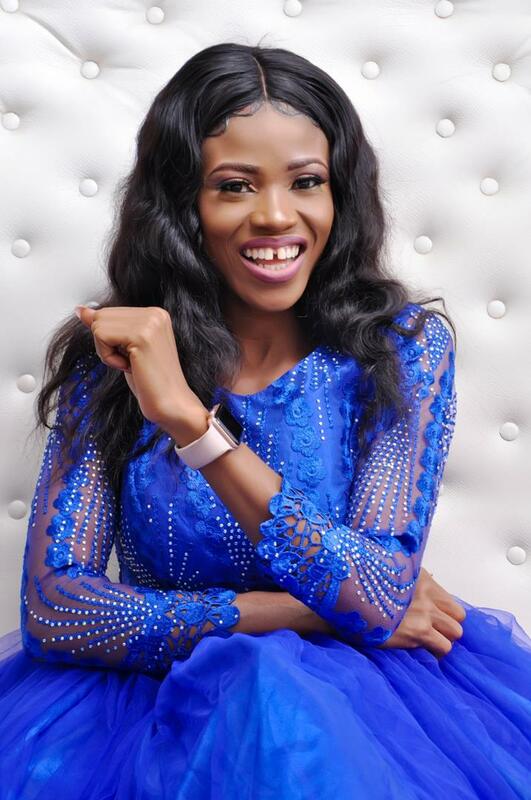 From doing commercials for LAN Airlines and campaigns for Black Opal, BMW Nigeria, Nivea and Sway Hair, to gracing the catwalks for the likes of Maki Oh, ItuenBasi, DeolaSagoe, Lanre Da Silva, Danny Nguyen and so many others, she is one model who always brings something new to the table. Styled in tribal queen attire, the cover model, IdiaAisien, is absolutely glowing on our Feb/Mar cover. Adorned in jewelry from Le Reve Pieces, Idia makes a positively radiant statement with her lightly bronzed, natural face and embolden feminine warrior princess look.